Home / Question/Answer / IS THERE ANYTHING IN THE QURAN OR SUNNAH ABOUT GLOBAL WARMING? 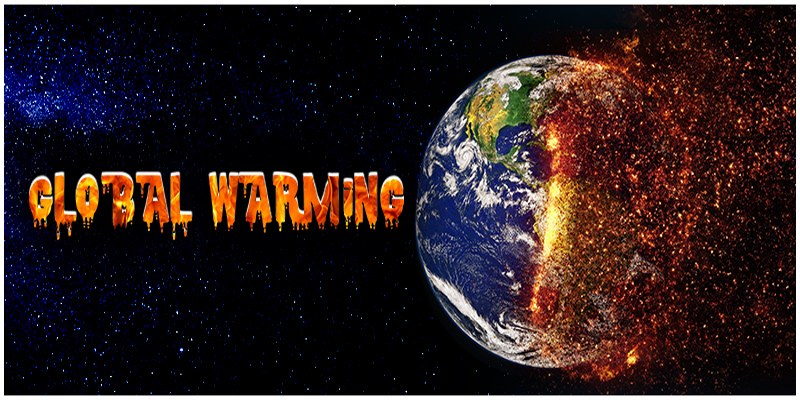 IS THERE ANYTHING IN THE QURAN OR SUNNAH ABOUT GLOBAL WARMING? The problem of global warming is regarded as one of the most serious environmental problems of our time, concerning which experts have held many conferences and published many articles about its dire consequences. These experts attribute this rise in temperature to the accumulation of gases in the atmosphere that is caused by factories, power stations and car emissions, which has led to a rise in air temperature and ocean temperature, which threatens to melt the ice-caps and cause flooding of land, which is expected to change the features of some countries completely and to change the climate of vast areas on earth. We could not find anything about this in the Qur’aan and Sunnah, apart from one hadeeth which some scholars who are specialized in sharee’ah and environmental sciences say has to do with this topic, and some of the most prominent specialists in the world agreed with them, which is that the Arabian Peninsula will again become meadows and rivers. They attribute that to a complete change in the earth’s climate and the melting of the Arctic ice cap due to global warming. What we think is that Arabia becoming meadows and rivers again is something concerning which there is no doubt, but we cannot be certain that it will happen because of the melting of the ice cap, because that is known only to Allaah. But we mention this view because it is relevant and because it has been said by some specialists, both Muslims and kaafirs. It was narrated from Abu Hurayrah (may Allaah be pleased with him) that the Messenger of Allaah (peace and blessings of Allaah be upon him) said: “The Hour will not begin until the land of the Arabs once again becomes meadows and rivers.” Narrated by Muslim (157). Meadows refers to spacious land with a great deal of vegetation. This hadeeth is a scientific miracle that describes a natural fact that was not understood by scientists until the late twentieth century, when it was proven by definitive evidence that the Arabian Peninsula was meadows and rivers in ancient times. Climate studies have also indicated that the arid desert is now on its way to becoming meadows and rivers again, because the earth throughout its long history passes through climatic changes that take place gradually over long periods of time, or they may be sudden and swift. Climate studies indicate that we are coming into a new rainy period, the evidence of which is the shift of the ice-cap in the northern hemisphere towards the south, and a noticeable fall in winter temperatures. The fact that the Prophet (peace and blessings of Allah be upon him) referred to this ice age in his hadeeth “until the land of the Arabs once again becomes meadows and rivers” is proof of his Prophethood, and shows that he was always connected to divine revelation, and was taught by the Creator of the heavens and the earth. End quote. Professor Alfred Kroner, one of the most famous geologists in the world, attended a geological conference in the College of Earth Sciences in the King ‘Abd al-‘Azeez University. I said to him: Do you have any proof that Arabia was once gardens and rivers? He said: Yes, this is well known to us and it is a scientific fact. Geologists know this because if you dig in any area you will find signs that tell you that this land used to be meadows and rivers. There is a lot of evidence. I said to him: Do you have any evidence that Arabia will once again become meadows and rivers? He said: This is something real and proven. We geologists know it and measure it and calculate it. We can say approximately when it will happen, and it is not far off, it is quite close. I said: Why? He said: Because we have studied the history of the earth in the past, and we have found that it passes through many stages, one of which is the ice ages. What does ice age mean? It means that a certain amount of sea water turns into ice and collects at the North Pole, then it begins to shift towards the south, and when it shifts towards the south it covers whatever is beneath it, and the climate on earth changes. Among the climatic changes is the change that takes place in Arabia, where the weather becomes cold and Arabia becomes one of the lands which has the most rain and rivers on earth. I said: Can you confirm that for us? He said: Yes, this is an undeniable fact. I said to him: Listen, who told Muhammad (peace and blessings of Allah be upon him) of that? This is all mentioned in a hadeeth that was narrated by Muslim; he (peace and blessings of Allah be upon him) said: “The Hour will not begin until the land of the Arabs once again becomes meadows and rivers.” Who told Muhammad (peace and blessings of Allah be upon him) that Arabia was once meadows and rivers? He thought, then he said: The Romans. I said to him: And who told him that Arabia would once again become meadows and rivers? He thought for a moment and said: The One Who is above! Then I said to him: Write it down. So he wrote in his own hand: I am astonished at the scientific facts that I have seen in the Quran and Sunnah, which we could not prove until recently by modern scientific methods. This indicates that the Prophet Muhammad (peace and blessings of Allah be upon him) did not attain this knowledge except by revelation from above. By Allah, I spent only two and a half hours with this German until he said all of that. This giant among scientists wrote that and approved of it, which indicates that there is one science, one truth, One God.